My friend Ramiro, who is building a house on a hill in the rural community of Rodeo, outside of Guanajuato, Mexico, invited me to join him and some members of his family this past weekend at a special, grand fiesta held there. And what a party it was! I’m still reeling. 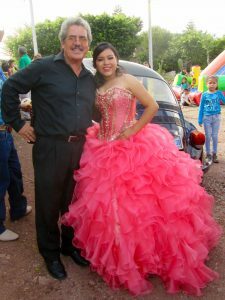 The event was a quinceañera, the celebration of the fifteenth birthday of a girl in the community, who was made a princess for the day. Other cultures, of course, have similar coming-of-age celebrations. The U.S.’s “Sweet Sixteen” party and the Jewish Bat Mitzvah come to mind. But I have never experienced anything – even in my ten years as a caterer in Manhattan – quite like this quinceañera last Saturday. First of all, it appeared to me to be a shared community effort, not one shouldered by the girl’s parents alone. Everyone, I was told, contributed or participated in some way to make this an especially memorable day in this young woman’s life. Everyone, it seemed to me, had invested in this girl’s happiness and future. 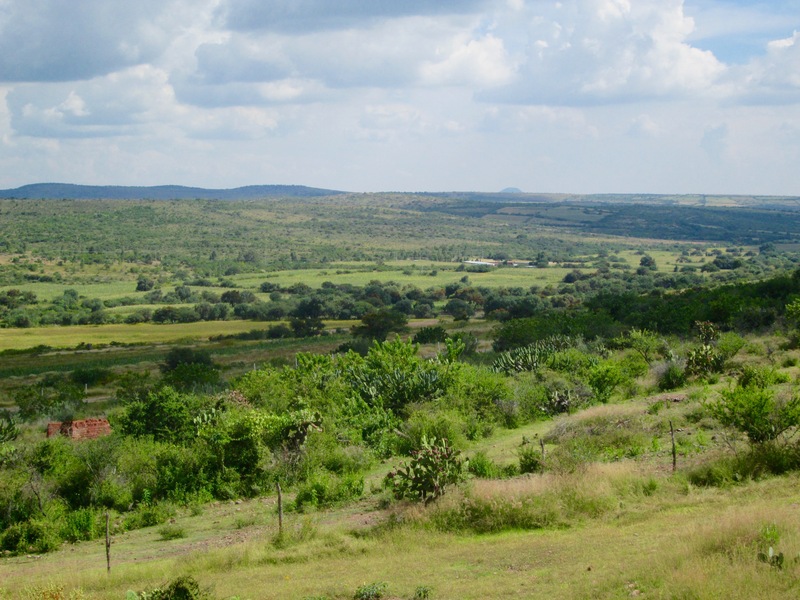 The entire fiesta was, in my view, an awe-inspiring feat of planning and preparation, organization and cooperation. It was balletic in its choreography, seamless and seemingly well rehearsed in its production. How did they manage to pull this off? I kept asking myself, knowing how difficult it is to plan and execute a successful party, especially on a shoestring. When I asked others at my table how many people they thought were there in all, the only answer I could get was “muchas personas” (many). My guess was close to three hundred – from babes in arms to old folks with canes, and every age in between. 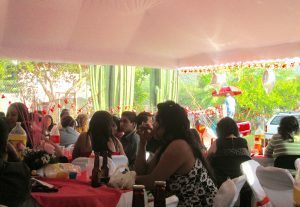 The food was delicious (pulled pork, red rice, mole, and fresh, warm tortillas), the music (two live bands) unendingly entertaining into the wee hours, and the dancing, oh, the dancing! I don’t think I’ve ever danced so much or so joyfully. My favorite dance music of the night was cumbia, which, I subsequently learned from online research, “began as a courtship dance practiced among the African population on the Caribbean coasts of Colombia and Panama” and “later mixed with Amerindian and European instruments, steps, and musical characteristics and spread throughout Latin America and abroad.” While cumbia was playing, I literally couldn’t sit down. When I wasn’t dancing, I watched: couples of all ages, in tune and in step with each other, happy to be together, happy to be alive. And as I watched, I thought: If only all communities everywhere could unite like this on a regular basis and dance their cares away! Perhaps the world wouldn’t be so anxious and crazy as it seems now.